I didn't know where to exactly post these pictures, either in the Profile section of my website (where you can see my personal computers), in the Pictures section (a miscellaneous collection of pictures) or here in the blog. For the time being I'll upload them here. 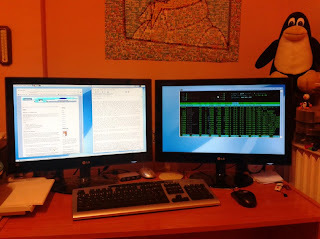 As you can see I have bought a twin monitor for odd, my main desktop machine. 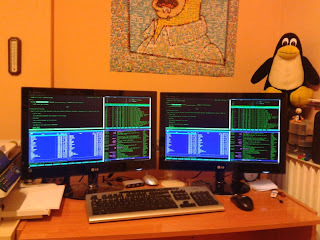 I have not finished configuring it yet but I just couldn't help taking some pictures to show around. 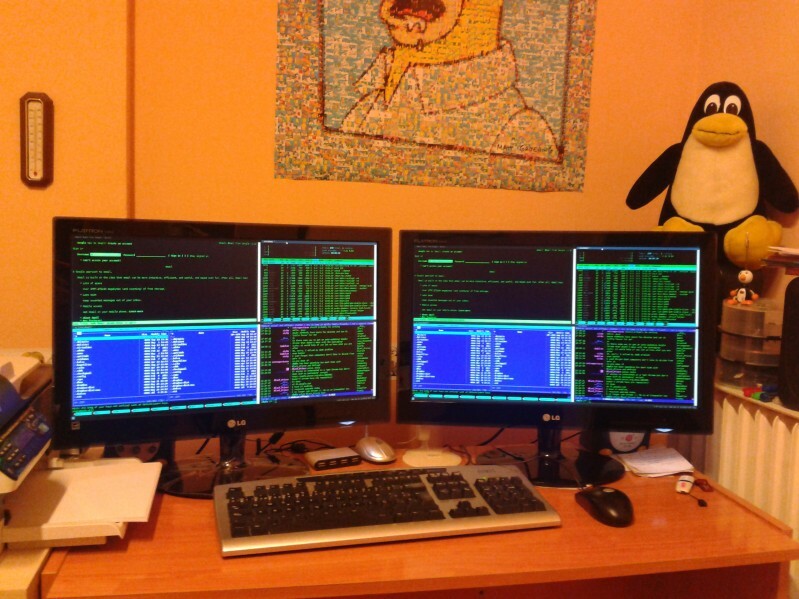 The first picture shows a "cloned" display (both screens show the same windows). 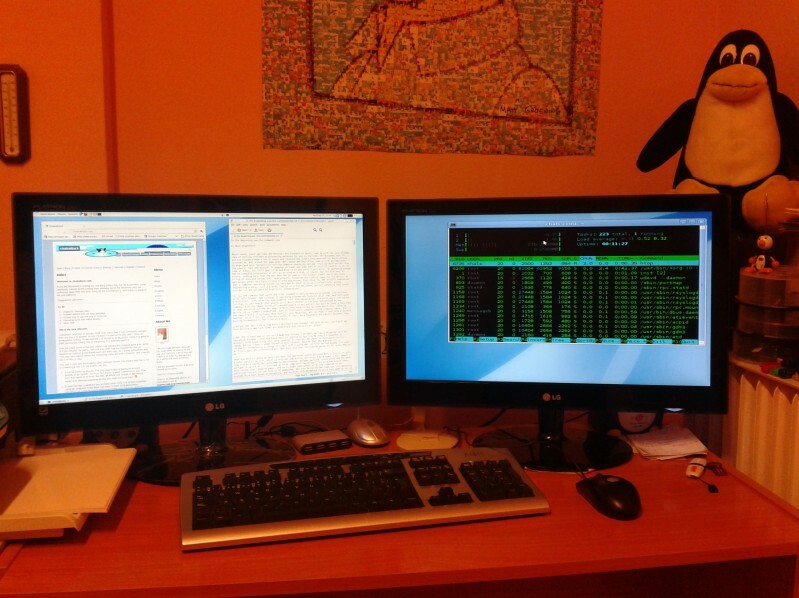 The second picture shows an "extended" display (different windows in each screen).